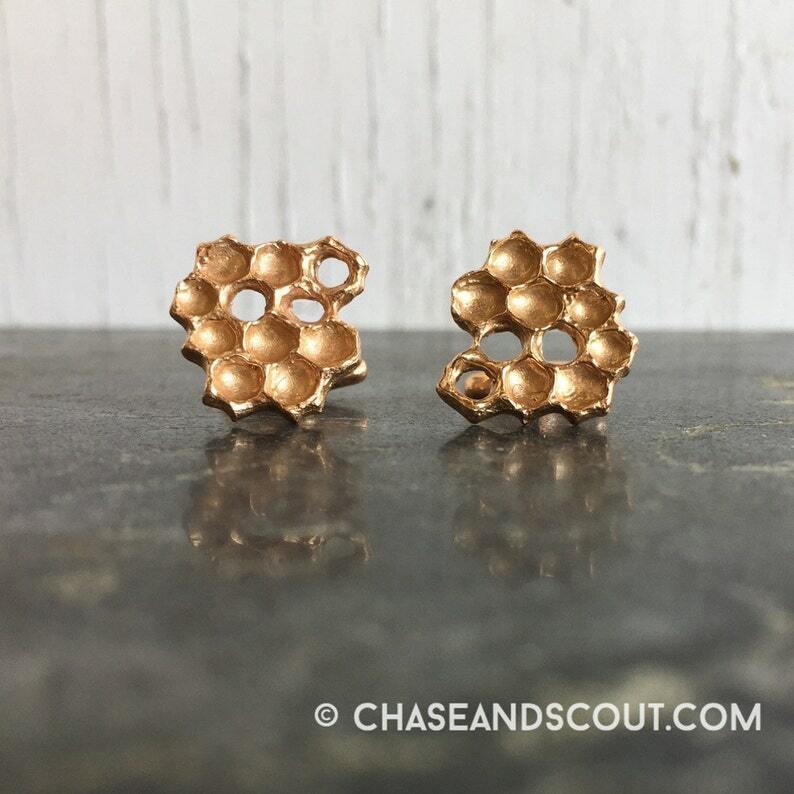 Chase and Scout handmade bronze honeycomb cuff links. A stylish way to bring nature with you wherever you go. It seemed a bit unfair to have so much delicious honeycomb jewelry without offering something for the dapper gent so I created these handcast bronze cuff links. Measuring 3/4" x 1/2" they're the perfect size for shirt cuffs and have a traditional rear tab and pin as shown. See all images for additional photos. Ships gift boxed. Blending the beauty of the dark and the light, Chase & Scout jewelry is created using traditional metalworking techniques, made to last a lifetime and beyond. C&S has been featured in Daily Candy, Palm Beach Living, Austin Monthly, Tribeza and other publications. Our designs are available in select galleries within the US. Everything by C&S is entirely created in Austin Texas. These are PERFECT! I wore a bee necklace on the first date with my fiance. I gave him these for Valentine's Day to wear on our wedding day in October 2020. Great craftsmanship!